Yelena Ivanov is widely recognized and highly respected among her peers in the field of piano pedagogy. Her devotion and dedication to the enhancement of young talent has produced some of the finest young pianists around. Many of her students are winners of local, statewide and international competitions. Some of them performed throughout the United States at notable venues including Lincoln Center's Alice Tully Hall, and Weill Recital Hall at Carnegie Hall; and with prominent orchestras such as the Rochester Philharmonic Orchestra, Summit Symphony, the Battleground, Westfield, and Plainfield Symphony Orchestras. Ms. Ivanov received her Bachelor's at the prestigious Gnesinsky School of Music. She continued her studies at the famed Moscow State ("Tchaikovsky") Conservatory graduating with highest distinction. While completing her studies at Moscow State Conservatory, Ms. Ivanov was offered a position as Professor at Gnesinskiy, becoming the youngest member of the faculty. During her tenure at Gnesinskiy, Ms. Ivanov served as coach, teacher, and lecturer inspiring new foundations and ideas to the next generation of musicians, while interacting with some of the finest artists in Russia. In 1979, Ms. Ivanov immigrated to the United States with her family leaving behind a successful career. Within a few years, Ms. Ivanov was maintaining a thriving piano studio and frequenting as guest pedagogue at master classes, workshops and lectures. In February of 2001, she give a series of master classes at the Ohio University, School of Music, with a return engagement in April of 2004. Her colleagues have bestowed numerous honors recognizing her exemplary pedagogy awarding her the highly regarded Gina Robinor Pedagogy Award of Excellence, the High Honor Teacher Grand Award, the Allison R. and Maria E. Drake Pedagogy Award, the National Pedagogy Certification Award presented by the Piano Teachers Society of America, and the Teacher of the Year Award by the Steinway Society. In 1999 Ms. Ivanov received an additional pedagogy award presented to her by the De Grado Piano Competition, “Golden Circle of Teachers”. Recognizing the need to further develop young talented individuals, she founded the Young Pianist Competition of New Jersey in 1989. As its Artistic Director, Ms. Ivanov annually brings together young pianists in an inspirational, friendly, competitive atmosphere. The Competition includes Solo, Concerto, and Ensemble divisions and intensive Workshop Recitals. Since its inception, the Competition has evolved and now includes participants from Connecticut, New Jersey, New York, and Pennsylvania. In 1998, Ms. Ivanov was invited to join the piano faculty of the Festival “Musica in Laguna”, held in Chioggia Italy. The following year, she launched a new division for the festival (Junior Division Workshop with Orchestra) for performers ages 8 – 16. The division now has it’s own concerto competition, where the winners perform with orchestra in concert. Lana Ivanov has distinguished herself as a performer, and a remarkably insightful, technical and artistic pedagogue. 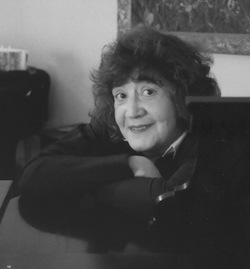 The inaugural first prize winner of the Summit Symphony Orchestra Concerto Competition and numerous other awards, Ms. Ivanov has the distinct honor of being the only recipient to receive the Gina Robinor Pedagogy Award of Excellence presented by the Piano Teacher's Society of America both as a piano student in 1986 & 1987 and as a teacher in 1989, 1990, 1992 - 1995. In 1988, Ms. Ivanov received her Bachelor of Music from the prestigious Manhattan School of Music under the tutelage of Piano Professor, Zenon Fishbein. Maintaining her philosophy to learn without limitation, in 1991 and 1992 Ms. Ivanov has attended the International Bartók Festival in Hungary studying under the renowned pianist Zoltán Kocsis. 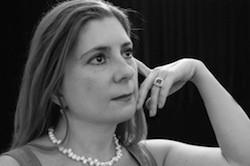 In 1994, Ms. Ivanov became the Artistic Director and a faculty member of the Shandelee Music Festival, (www.shandelee.org) and since 1996, she has been the Executive Director of theYoung Pianist Competition for New Jersey (www.youngpianist.org). In the summer of 2000, Ms. Ivanov was invited to join the piano faculty of Festival “Musica in Laguna”, (www.almc.it) Chioggia (Italy). Ms. Ivanov maintains a very busy private practice. Many of her students are recipients of numerous prizes and are winners of such competition as Piano Teachers Congress of New York’s Young Pianists Competition, New Jersey Music Teachers Association’s Young Artists Competition for Piano, The Cecilian Music Club Young Artist Competition, Piano Teacher's Society of America’s Solo & Ensemble Competitions,Show Case for Exceptional Young Artists in Plainfield, NJ, Russian Festival Competition, sponsored by the Talented Young Musicians Association and Young Pianist Competition of New Jersey’s Concerto, Ensemble, Solo & Young Artist Divisions. Many of her students have appeared at Weill Recital Hall at Carnegie Hall, Alice Tully Hall at Lincoln Center and Steinway Hall in New York City, as well as with the Plainfield Symphony Orchestra (New Jersey) and Orchestra Sinfonica del Festival di Chioggia (Italy). Ms. Ivanov frequently gives master classes for theYoung Pianist Competition of New Jersey and at the Shimon and Sara Birnbaum Jewish Community Center (New Jersey). She was invited by the Kazakh National Academy (Astana, Kazakhstan) to give a series of lectures and master classes in December of 2004, April/May 2005 and again in February 2006. Ms. Ivanov adjudicated numerous competitions in the United States, such as the Young People’s Music Program Annual Competition sponsored by the Chinese American Cultural Association (New Jersey), the 2001, 2005 & 2006, Spring Piano Festival sponsored by the New Jersey Music Teachers Association, the 2003 Young Pianist Competition of New Jersey’s Young Artist Division, the 2009 Winter Competition sponsored by the Connecticut State Music Teachers Association, the 2010 Russian Music Competition sponsored by the Talented Young Musician Association and the 2011 Connecticut State Music Teachers Association’s Audrey Thayer's Piano Competition-Hartford Chapter (Hartford, CT). Ms. Ivanov also adjudicated International Competitions in Italy, such as the Festival “Musica in Laguna” International Concerto & Solo Competitions– Junior & Senior Divisions (2003 – 2013 Chioggia, VE), the Lorenzo Perosi International Competition (2007 Tortona), and the Saint Giorgio Music Association’s Cervo Younger Musicians Festival (2009 Cervo). Ms. Ivanov was also invited by the Kazakh National Academy to adjudicate the 2006 & 2008 Astana-Merey International Piano Competition (Astana). 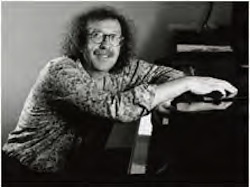 Konstantin Bogino belongs to a famous Muscovite family of musicians, which counts among its closest friends such famous pianists as S. Richter, E. Gilels, A. Rubinstein, A.B. Michelangeli. These friendships have deeply affected the evolution of the young pianist. Mr. Bogino’s first teacher was his father, Georgi Bogino, a pianist and a pedagogue, who was also the author of a unique piano teaching method and of various books about music. From 1957 to 1968, Mr. Bogino was a student at the Central School of Music, a school that is world famous for having produced talented Russian musicians. At the age of eleven, Mr. Bogino gave his first concert with the orchestra. He also performed in a recital in Moscow, which was completely dedicated to J.S. Bach. He then studied at the P.I. Tchaikovsky Conservatory in Moscow, with Vera Gornostaieva and received his diploma with honors. From 1973 to 1978, Mr. Bogino taught at the Gnesin Conservatory in Moscow. Apart from his teaching career, he held over 300 concerts throughout the Soviet Union as a soloist, in a duo with the famous violinist Marina Kozolupova and also in the Tchaikovsky trio, of which he was a founder. Mr. Bogino has performed at many prestigious concert halls throughout the world, both as a soloist and as a member of a duo and trios: La Scala in Milan, the G. Verdi Conservatory in Milan, Gaveau and Challet Halls in Paris, Wigmor Hall in London, Bunka Hall in Tokyo, Lincoln Center in New York, Hercules Sall in Munich. He has also participated in numerous festivals. Mr. Bogino is the founder of many chamber music festivals, such as those in Portogruaro, Mestre, Lucca, Musica in Laguna in Chioggia, E. Satie Festival - Arcueil, Dubrovnik. He has also served as a member of the jury in many international competitions: ARD-Munchen, Epinal, Trieste, Trani, V. Gui - Florence. Mr. Bogino has recorded CDs for Dynamic, R.C.A., Ondine, ADDA, Conifer, Musica Immagine, P.G.P.